Wicker Post Card and Mistery Item. Would be interesting to know what it is and what's it for. I can't even work out what is holding it on the pole. Yeah that is a strange one. The item on the pole appears to be a lanyard of some sort and the dark shiny appearance would suggest that it is made of a rubberised material, or maybe a rubber coating on a rope? Trying to gauge the size of it, looking at the people nearby, when decoiled it looks like it would be maybe 6-8 feet long, with a hook (or loop) at one end and at the other end, a stiff section 18-24” long, like the handle of a whip? It appears to be only hooked on to the pole, just above head height and is meant to be taken off and used for something, then put back as it was found. 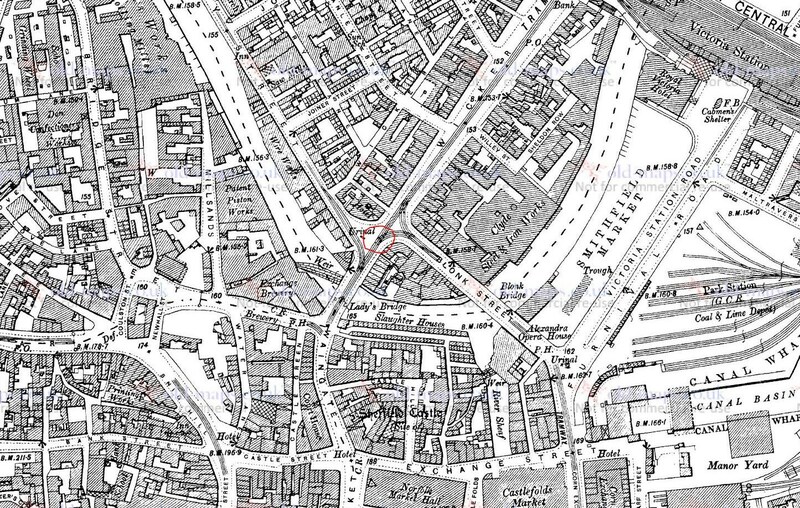 You can see from the map that the position of the pole is at the interstection of where the tramlines split, one route down Wicker and the other down Blonk Street. I seem to have either read or see somewhere that the overhead lines that powered the trams were on discrete circuits and when changing route (and therefore) circuit, the tram needed to have its pantograph (the arm on the top of the tram that draws power from the overhead line) swapped from one line to another. On the top of the pantograph was a pulley wheel, with a deep recessed groove, in which the power line ran. The pantograph itself was sprung loaded, so the pantograph would always be in contact with the overhead line, as it would need a constant supply of electricity to power the motor, lights, etc. 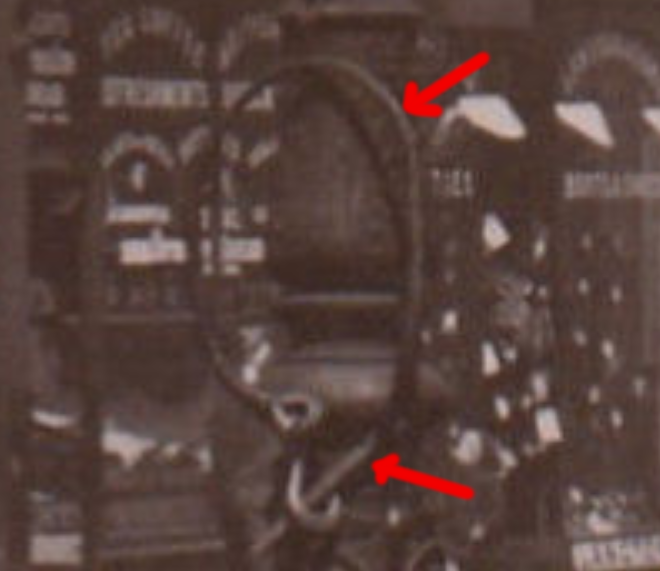 So, my theory (whacky though it might be) is that this was a device with which the tram operator used to swap lines and take a route on another circuit. They would unhook the lanyard off the pole, nip up to the top deck with it, lasso the pantograph and pull it down off the power line (hence the rubberised rope for insulation) and swing it over to the new power line, lining up the pulley wheel and relocating it to the new source. The tram would then be able to take a new route, powered by the circuit for that route........ for example, the tram would stop on Wicker, swap lines and turn down Blonk Street..... or something like that? So, I reckon it’s a pantograph puller, power line swapper, type of device...... Does that have any credibility whatsoever? 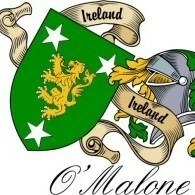 Interests:family/social/local history, gardening & wildlife. I fully agree with the last theory. I remeber at Firth Park Terminus in the 1950s a pole being used to change the tram to another line. Some trams stopped at FIrth Park others went to Lane Top. 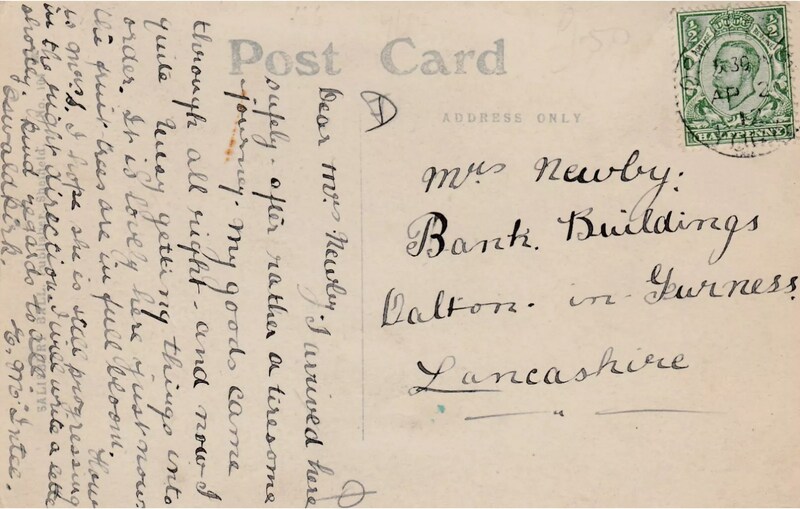 What’s also intriguing is why a postcard of Sheffield Wicker has been used by someone sending a note from Oswaldkirk (20 miles north of York) to someone in Dalton in Furness in the South Lakes, just North of Barrow(bados) as we like to refer to it, when speaking with our colleagues there! 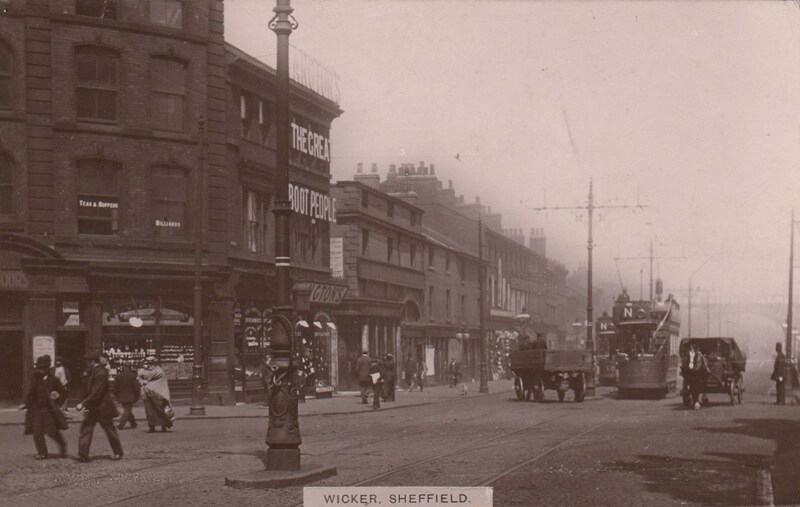 On Wicker in 1912, you’ve all on to see the arches a couple of hundred yards away, so the only cherry blossom you’d be seeing there, would be on the tins of boot polish in the shop behind the pole!!! 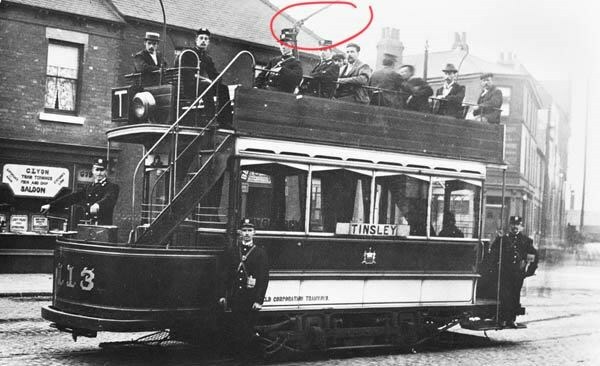 Also the pantograph appears to be the arm in the original photo and another i found of the same model tram, both circled in the photos? It sits on what looks like a large insulator, which i suppose would be entirely reasonable, given the current coming from the catenary, down the pantograph and into the cabling that powered the tram. It would be poor show to electrocute your top deck passengers! Wasn't it used to help trams change tracks? ( I am a bit late replying, but thanks to BT's total inefficiency I have had no internet for a week.) Thanks, that's very interesting, I thought it may be something to do with the points but it's nothing like the bars I have seen before for changing the points and I never considered thinking upwards to the power lines.